Electric vehicle ownership is continuing to grow. 1 Million plug-in cars were on the world's roads as of 2015. Plug In America estimates that there are currently nearly half a million plug-in cars on US roadways. The upcoming Tesla Model 3 and Chevy Bolt will continue this trend and we are likely to see 1 million PEVs on US roads during 2018. With all of these EV sales, there will be many new owners that have never used public charging infrastructure. When you are charging at home it is as easy as: open the charging port, plug in, and smile. Dealing with public infrastructure can be a little more difficult. This article is intended to educate plug-in vehicle owners, newbies and veterans alike, about plugging in when you are out and about. 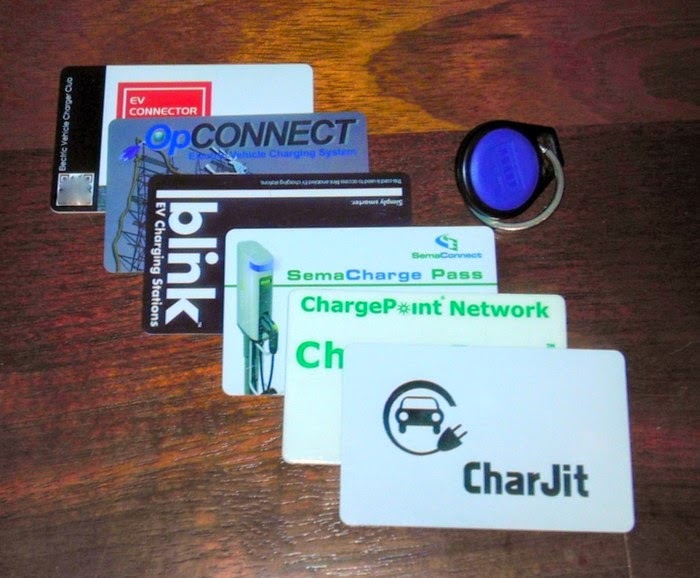 If you want to charge at a charging stations in the wild, there are a few things that you'll need to know: the type of charging station, where to find it, what (if any) membership card you'll need to access it. This all starts by knowing what kind of connector(s) your car has. The types of ports will determine what types of charging stations you can use. Unfortunately, there is not one unified connector for all EVs. 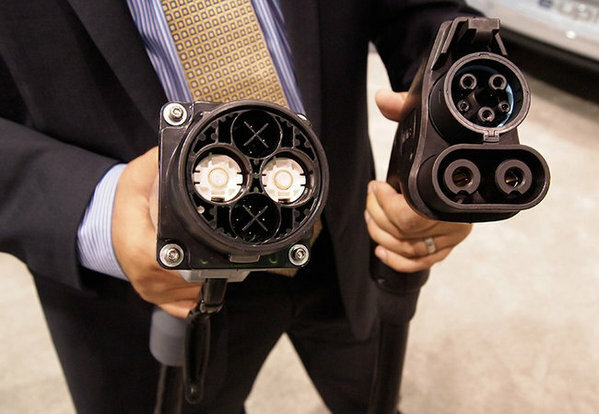 There are connectors for AC, connectors for DC fast charging, and some that can do both. 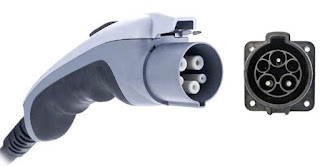 For AC charging, modern EVs use the J1772 (jay-seventeen-seventy-two) plug. This port is standard on most EVs. The big exception is Tesla, they have a proprietary inlet port, but they have a J1772 adapter. Many of the public charging stations are J1772. Depending on the power source and your vehicle, these give you from 5 miles to 30 miles of range per hour that you are plugged into them. These types of charging stations are good for overnight charging and workplace charging where the vehicle will be parked for several hours, but they are not generally useful for a cross country trek. For long distance drives, you need DC Fast Charging (DCFC). Depending on the station and your car, these can get you from 80 miles of range per hour up to 170 miles of range per hour. There are three primary types of DCFC: CHAdeMO, SAE Combined Charging Standard (CCS), and Tesla Superchargers. CHAdeMO is generally supported by Japanese manufacturers such as Nissan, Kia, and Mitsubishi. CCS is generally supported by German and US manufacturers such as BMW, VW, GM, and Ford. 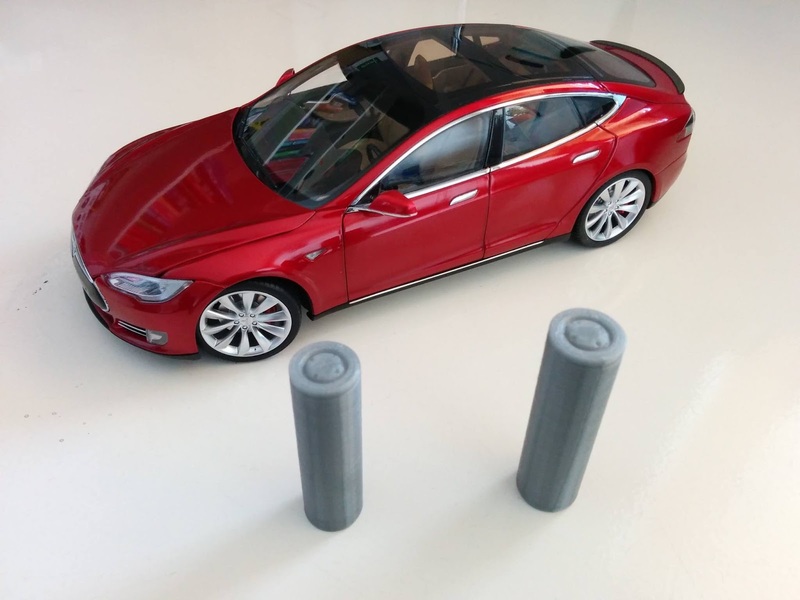 Tesla Model S/X vehicles, of course, use the Tesla Superchargers. You can also buy an adapter to allow a Tesla to charge at CHAdeMO stations and Tesla has promised a CCS adapter soon. You need to know which type (if any) of DC fast charging your vehicle supports. For some make/models, the base package does not include DC fast charging and plug-in hybrids usually don't have a DCFC option. There are some charging stations that support both CHAdeMO and CCS. It is important that you know which DCFC your vehicle supports. If you coast up to the wrong one with a flat battery, it will not be able to charge your car. There are multiple EV charging networks. You need to know which one(s) are in your travel realms and which one(s) work with your car. 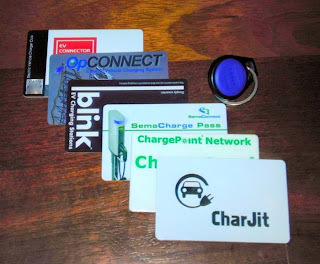 Here are a some of the more common networks: Aerovironment, Blink, ChargePoint, nrg, and Tesla. Tesla charging is a special case; we'll come back to them. Let's look at the others first. These networks require membership to access them. Find out which ones are in your area (more on this in the next section) and join those networks. Tesla has two charging networks. The first is the Supercharger network, these are fast charge stations that can supply up to 170 miles of range in 30 minutes. No membership is required, other than owning a Tesla. These stations only work with post-Roadster Tesla vehicles (i.e., Model S, Model X, and soon Model 3). The second Tesla network is the Destination Charging network. These are generally at hotels, restaurants and shopping centers. They often include both Tesla wall chargers and Level 2 J1772 from other vendors. These may or may not be free. Hotel sites, for example, may only allow guests to use these stations. Where Are The Charging Stations? Here we are in step three. In step one, you figured out what types of charging stations your car supports. In step two, you joined your local (or planned travel route) charging networks. Now, to find the stations. Some EVs have charging station locations in their nav system. This is handy but it may not include real-time availability information. Unless you have an internet connected car (like a Tesla), then you'll need to use a smartphone app like PlugShare for real-time info. When you are planning a trip and you know you'll need to make a charging stop, it is very helpful to look these stations up on PlugShare see if they have been used recently and what, if any, notes others have left. These checks and notes are very useful. They will let you know if a station has been used recently and if it is operational. If it is down, you can make other plans. Tip: when possible, go to a "charging cluster" such as Electric Avenue. Clusters have multiple charging stations. If one of the stations is non-operational or occupied, you can just pull into another stall. Occasionally, you may be traveling to regions that apparently have never heard of electric vehicles. Even in these areas, you may be able to charge with little or no problems. With the right adapter, nearly any electric outlet will do. Nearly any US campground with RV hook-up spots will have NEMA 14-50 outlets. These are 240V outlets and will get you 25 to 30 miles of range for each hour that you're plugged in there. In is not the 150 MPH of a DCFC, but if you only need another 50 miles to get to your destination, it can be a nice stop to explore a part of the world you would have previously just driven through. Depending on how long you are planning on plugging in, many of these locations will allow you to charge for a small fee, whereas others may require you to pay the full overnight space fee. Be charming (not entitled) and you might be surprised that people can be very friendly. An EV is still a novelty and conversation starter in many places. If you plan on stopping at a BNB on your EV trek, call ahead and ask about plugging in. A simple 120V outlet can provide you with 50 miles of range when plugged in for a 10 hour overnight stay. If you are lucky, they may even have a 240V dryer outlet that you could use to charge even faster. There you have the basics and a couple advanced tips. Find the follow up with EV charging tips and tricks here. I'll even explain what that green card below is all about. If you have any related questions, leave a comment below and I'll try to help. Back in May, I wrote a story that said the Tesla Model 3 would have half the number of battery cells of the Tesla Model S. This was based on many assumptions. Some of these assumptions have now been clarified. During the 2016 Annual Shareholder Meeting, at the 1 hour, 48 minute mark, Elon Musk and JB Straubel talk about the motivations to build the Gigafactory and the innovations that they are putting into both the batteries and the factory itself. Elon Musk confirmed that the battery cells made at the Gigafactory will be bigger than the standard 18650. He also gave a precise size. 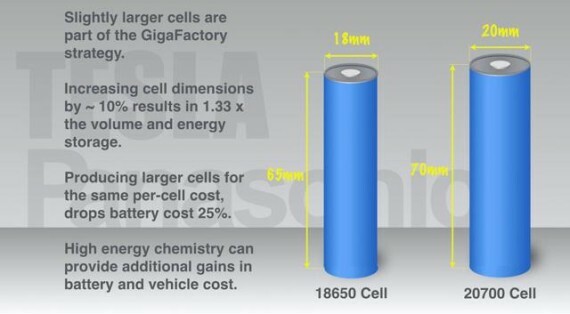 Tesla's battery will be 20mm in diameter and 70mm in height. The 18650 is so named because it is 18 mm in diameter by 65 mm height. Using the same naming convention, the new Tesla battery cell would be a 20700 battery cell. This new cell will have 33% more volume than the old cell. Elon clarified that Tesla does not use commodity laptop 18650 cells. They have been using cells specifically designed for their needs for some time now. It just so happens that they have continued to package these in the same 18650 form factor. This change in size to 20700 was based on a first principles analysis. This new size allows for increased energy per cell while still allowing for thermal management and fire control within the pack. On a related note, Quartz reports that Tesla has hired Jeff Dahn, a leading battery researcher who teaches at Dalhousie University in Nova Scotia. Dahn is tasked with doing “whatever it takes” to improve the company’s battery performance. Tesla Model 3 will use a larger 20700 cell with a better chemistry than the current Model S.
JB has previously stated that the Model 3 battery will be "next generation." Battery cells have been improving about 5 to 7 percent each year. Compounded over several years, this adds up. The original article assumed the new cell would be 20% bigger in each dimension. With such a size increase, it was easy to have half the number of cells. That is, however, not correct. The increase is ~10% in each dimension. Given this update, let's guess at how many of the new 20700 cells will be in the Model 3. According to teslamotors.wiki, there are 7,104 cells (16 modules of 444 cells) in Model S. For Model 3, we'll be able to reduce that number with several factors. First, as discussed above, the Model 3 will use a larger cell. Second, the Model 3 will be smaller, lighter, and more aerodynamic. Third is the range, the base Model 3 will not go as far as the base Model S. The final factor is the battery chemistry will be one or two generations ahead of the 2015 chemistry that is in the Model S and X today. Let's look at each of these in detail. Putting these factors together and we have an estimate of ~50% of the cells of Model S. That is approximately 3550 of the new 20700 cells in Model 3. This is more than the previous estimate, but still less than half of the 7104 cells in the current Model S / X.
Tesla Model 3 will have approximately 3550 battery cells. During the Tesla 2016 Annual Shareholder Meeting someone asked if Tesla had enough Lithium to do all the things they envision for vehicles and energy storage. This is a common question when people first consider EVs. They are concerned that the world would be moving from peak-oil to peak-Lithium. Elon Musk clarified that Lithium supply is in no way a limiting factor to any of Tesla's goals. Lithium is not rare. It is the 3rd most common element in the universe. 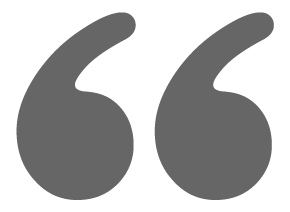 The first is hydrogen, but it is bound-up in water (or hydrocarbons) and difficult to separate. Helium is the second, but here on Earth, unless contained, it floats away. Lithium does not float away. It is often bound to salt and this is easy to separate. 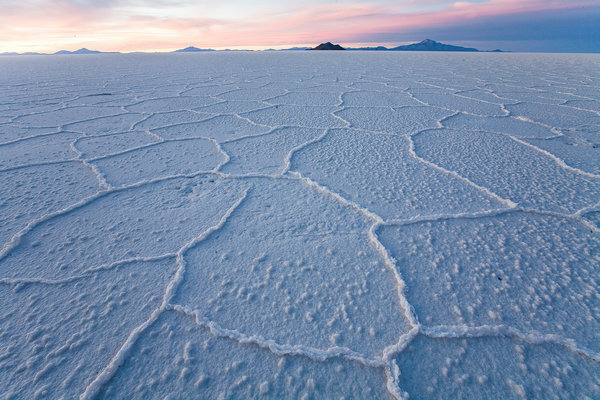 Lithium supplies are abundant and prices are low and stable. Even if Lithium were rare and expensive it would not greatly impact Li-ion battery prices. Lithium is only about 2% of the volume of a Li-ion battery cell. Elon called Lithium "the salt on the salad." Elon and JB noted that it would be more accurate to refer to their batteries as Nickel-Graphite (with Silicon-Oxide). Where Are The Range Extending Trailers? Pure EVs are great. Even with less than 100 miles of range, a lot of trips can be made in an EV. However, there are times when having a range extender would be nice. Maybe the planned trip is through a region that has a dearth of charging infrastructure or maybe my schedule does not allow for charging stops. During these few times, it would be nice to have a range extending trailer. Of course you could buy a plug-in hybrid vehicle with a range extender like a Chevy Volt or a BMW i3 REx. However, if ~70 miles of electric range is enough most of the time, and I would only need the range extender a couple times per year, it seems wrong to carry the weight of an internal combustion engine and fuel tank around on the hundreds of other trips each year. The 200+ mile EVs are coming. This will reduce the need for a range extender, but it is not clear is the 100 mile EVs will simply disappear or move to a lower price point when their longer range siblings come to market. So why haven't any of the short range EV manufacturers come out with a range extending trailer? The idea is not a new one. 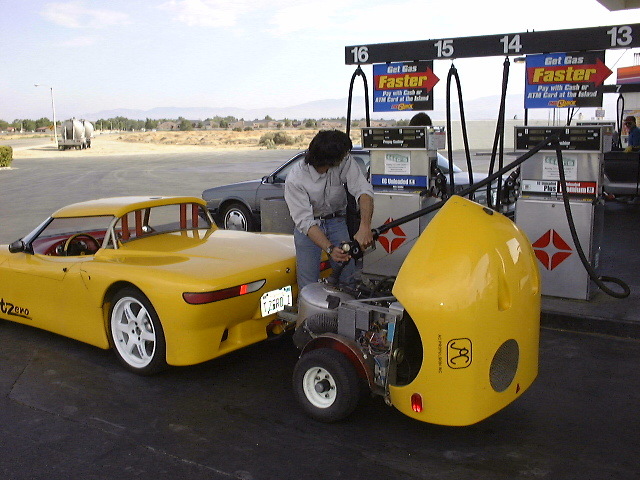 The AC Propulsion T-Zero electric roadster (the inspiration for the Tesla Roadster) had a range extending trailer. 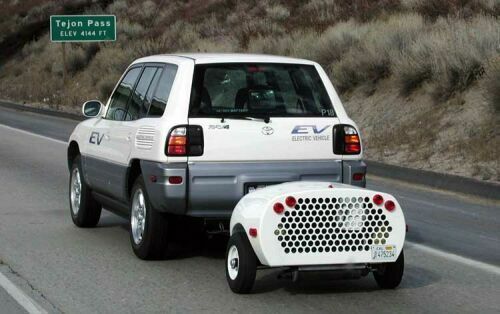 The first gen electric Toyota RAV4 had a range extender trailer. A startup company called Nomadic Power is working on a range extender for the Nissan Leaf and the BMW i3, but they are still seeking funding and using their trailer may require modifications to the vehicle that many people would not be willing to make while the car is under warranty or leased. EP Tender is another company that is working on a range extender. Theirs is for the Renault Zoe and Nissan Leaf. Even the home tinkers have gotten into the game. 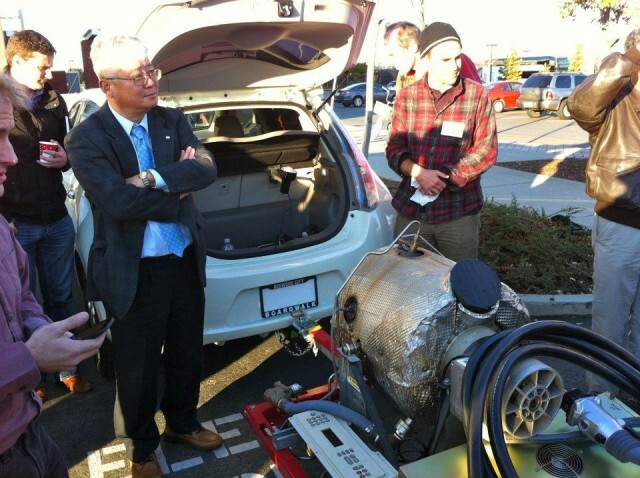 In late 2011, Phil Sadow, known as Ingineer on MyNissanLeaf, created a propane-powered gas-turbine range extender for his 2012 Nissan Leaf. So what has stopped the auto-manufacturers from making their own range extenders? These could be upsell opportunities or something the dealerships could rent out. It would be best if the vehicles were designed with these devices in mind. The car would need a power connector and a control and communications channels to turn the generator on and off and to monitor the fuel level. Even when there are 200+ mile EVs, you may occasionally need a range extender trailer. And even when there are 200+ mile EVs for sale, there will still be a market for cheaper ~100 mile EVs. A range extender would be very helpful for these shorter range EVs. If you were shopping for a ~100 mile range EV, the one that had a range extender trailer option would be the more appealing of an offer to many people. So Nissan, GM, VW, BWM... if you want to stand out from the others, you can offer something that your competitors are not.